All the weird weather Toronto has been hit with the past couple of weeks has really made me miss summer TONS! I know I have not updated this site in a long, long time, but many things have happened since, and I finally feel up and ready and better than ever. Every year, during the last two weeks of August, The Canadian National Exhibition (aka The CNE or The Ex), opens its doors to the general public for all of us Torontonians and curious visitors to enjoy. 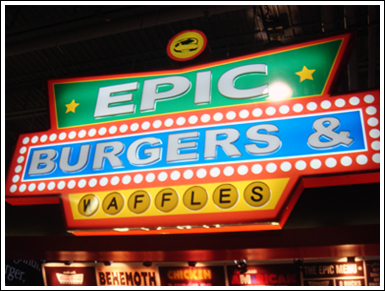 Besides traditional carnival rides and games, food is a really big aspect of the CNE, with the most anticipated stand in the food building this year being EPIC Burgers and Waffles, hands down... but were their burgers really that epic? Even before the CNE opened its doors, "The Donut Burger" was already creating a huge buzz... so obvi I HAD to try it! FINALLY! Unwrapped in all its glory! Although I was sick, I was mighty excited to dig in. 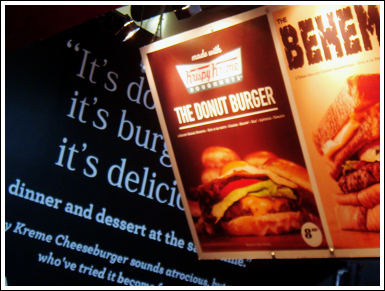 Ever since the CNE opened its doors, I have received countless recommendations to try the Donut Burger at EB&W. I had also read a review from a local newspaper, describing how fatty and horrible the burger was for one's health... with a combined total of 1500 calories in one single burger. With many friends urging me to try it, and with just as many telling me how unhealthy it would be to digest, I was really torn about how I felt about eating this particular burger... but one thing was for certain: I knew I had to try it! 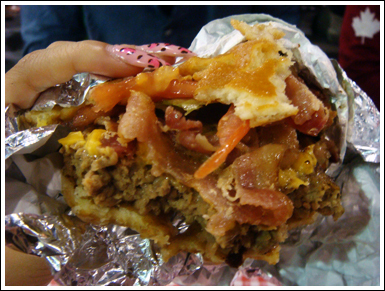 I had gone to the CNE not once, but twice to try this burger... the first time I forgot to take pictures, so I went back a second time. So how did I like it? 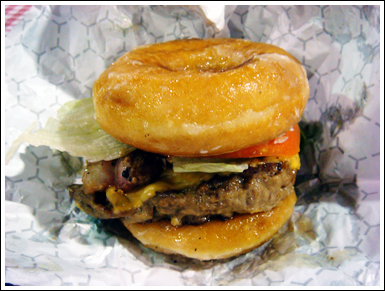 I would definitely say the Donut Burger definitely wins in shock value and creativity, but over all, it tasted just as the name suggests... literally like eating a krispy kreme donut and a burger simultaneously. I literally took two bites and felt my cholesterol shoot up like crazy, so I handed it to my friend to finish. 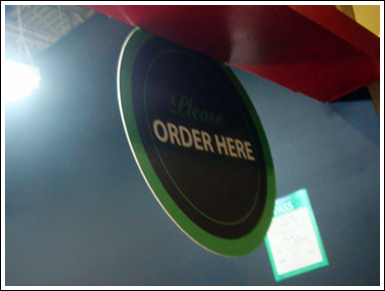 He, on the other hand, seemed to really enjoy it, finishing my Donut Burger on both occasions. I do believe I would have enjoyed the burger more without tomatoes in it... it just tasted weird eating a donut with tomatoes. 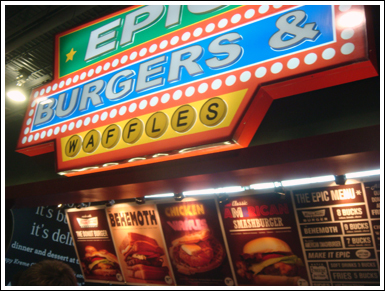 For a so-so burger with crazy wow factor, I give EPIC Burgers & Waffles 3.5 stilettos.